September 18 2013. An innovative mobile application from FlyInStyle will soon create new opportunities for airport retailers and brands to connect with traveling consumers. "Our market-leading smartphone app will help travelers find shopping, dining and service promotions, including happy hours and special sales events," said Amanda Anthony, Co-Founder and CEO of the Miami-based company. "Our goal is to turn airport downtime into fun time for travelers, while providing an engaging new promotional channel for the retail industry." FlyInStyle is positioned to launch the smartphone social shopping application for the travel retail industry. Anthony said the team members have decades of travel retail industry experience so they understand first-hand the distinct challenges and needs of airport retailers and restaurants. 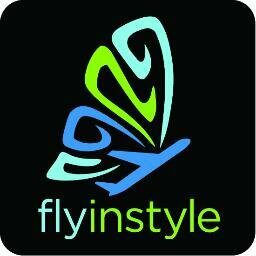 FlyInStyle's mobile app is now in closed beta testing and will be rolled out later in 2013 into open beta testing. "It will be the first app to provide users with a single destination to find deals and promotions in any airport across the globe," Anthony said. "We are now in discussions with many global brands and retailers, as well as key regional players, and expect to formally announce these partnerships shortly." FlyInStyle's four co-founders all have deep roots in the travel and retail industries. Anthony has 10 years of experience in sales and marketing with global consumer goods leader P&G. Katherine Patch Sleipnes, CCO, represented P&G Prestige as head of travel retail Americas, and Gillian Davidson, CMO, represented The Shops of The Ritz-Carlton, Bal Harbour Shops, Royal Caribbean and Atlantis - Kerzner Resorts on the agency side and was Senior Director of Marketing and Advertising for Sandals Resorts International. Philip Riverón, CFO, has ten years of experience in public companies and Big 4 consulting, as well as a passion for travel and technology. "Our team understands the challenges facing airport retailers, and have drawn on that knowledge to develop an effective digital, social and mobile marketing solution," said Anthony. "With FlyInStyle, savvy airport merchants can reach and engage their audience through multimedia smartphone promotions in ways that go far beyond traditional print airport posters and in-flight magazine advertisements. We will work with all concessions across all categories to help them grow traffic to their stores, websites and apps." Anthony adds that FlyInStyle's app will collect and track airport travelers' behaviors, helping retailers and brands develop more targeted campaigns and hopefully increase the returns on their promotional activities. “We have a tremendous opportunity to develop strong partnerships within the airport industry," said Anthony. Anthony and Sleipnes will be in Cannes to share the app with brands, retailers, airlines and airports. For an appointment, please contact Jennifer atmarketing@flyinstyle.co.